The rugged and durable C4 is a medium sized Blackberry / cell phone pouch that provides quick and easy access to a mobile device while remaining lightweight and abrasion-resistant. The high performance nylon construction of our C4 Tactical Blackberry pouch protects sensitive electronics during periods of high activity, while the quick release clip and Prym snap hardware allow one-handed accessibility. 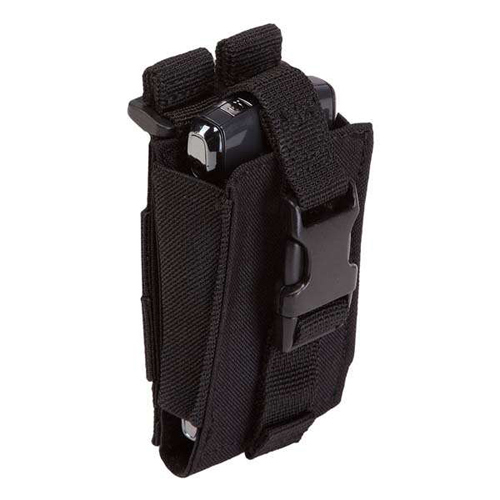 Whether you're running coms on a tactical mission or heading up the mountain on a hunt, the C4 cell phone / Blackberry pouch will keep you connected.